Getting to know our Junior Ambassador, Amy Ronnfeldt. I started ballet when I was 4 at Kimberley Woodger Dance Academy in Queensland, when my parents thought it would be a fun activity to do to fill in time as a child. I loved it from the very first class. Ever since then I just never stopped and was always dancing around wherever and whenever I could! amy at her first ballet concert, age 5! I love ballet because it challenges me and makes me physically and mentally stronger. I really enjoy taking on a different character in ballet performances and entertaining the audience. I am a bit of a perfectionist and like everything to be very structured, and ballet is very technical and precise, which I absolutely adore. I also love letting myself really open up to the music and love how every ballet dancer is individual and there are no boundaries. Earlier this year you moved to Melbourne to further your training, how have you found that, was it challenging for you? Moving to Melbourne this year to attend the Australian Ballet School was a dream come true. It was a little bit difficult at first to adjust to living away from home at the Marilyn Rowe Boarding House and only seeing my family during holiday breaks, but now it is my normal routine which I have fallen in love with. This is also my first year of full-time, which I have really enjoyed. We have lessons 6 days a week. From Monday to Friday, we spend half the day at ABS and half the day at Victorian College of the Arts Secondary School (VCASS) alternating dance classes with our school work. We are lucky to have a wonderful chef at the boarding house who cooks our dinners, but we have chores that need to be done - just like at home! I have to wash all my own clothes, shop for ballet provisions and daily essentials and sew my own pointe shoes which is definitely building important life long skills which I appreciate. My dance dream is to become a principal dancer with The Australian Ballet, and my dream role would definitely be Odette/Odile in Swan Lake because I love the idea of playing two such challenging and contrasting roles in the same ballet. 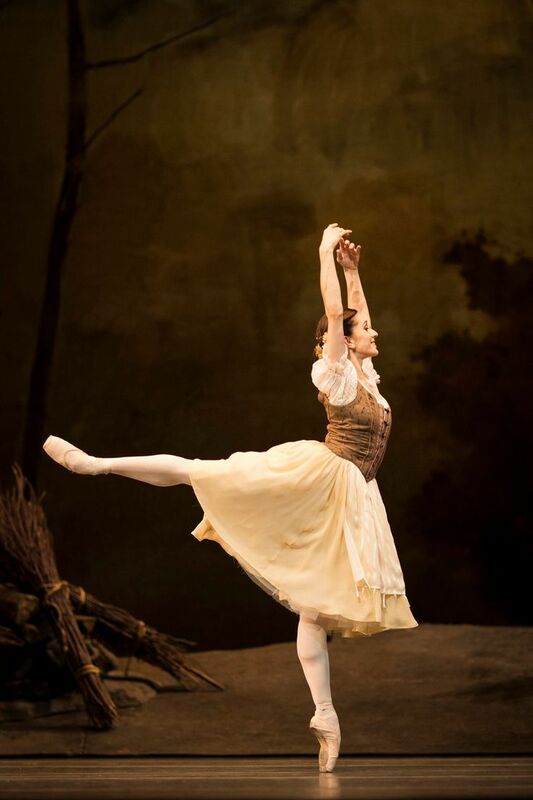 My absolute favourite ballet dancer is Marianela Nunez, Principal dancer with The Royal Ballet. The aspects about her that truly inspire me are her charisma, stage presence, ease, technique, musicality and unique dynamics. The best advice I’ve ever received is to follow your own dream and not to compare yourself with others. You just need to aim to be better than you were yesterday. My proudest dancing moments were probably when I won the RAD Australian Advanced 1 Bursary in 2017, and when I performed as Ariel in Ballet Theatre of Queensland’s (BTQ) 2018 production of The Little Mermaid. BTQ is Australia's oldest continuing classical ballet company, and students from many different dance schools audition. This was my first lead role in a ballet performance, which I found thrilling. It was such a wonderful experience meeting people from other dance schools and creating amazing friendships. amy as ariel in the littel mermaid, 2017. My goals for this year are to keep on improving and build my strength en pointe, my technique in grand jetes, my arm alignment, my artistry and confidence. Other than dancing most of the day, I love spending time with my friends and family, drawing, listening to music, going outside, journaling, stretching, baking and watching Disney movies. My favourite time on stage was at the Alana Haines Australasian Awards in 2017 when I made it to the semi-finals and performed the Giselle variation. I was completely immersed in the moment. 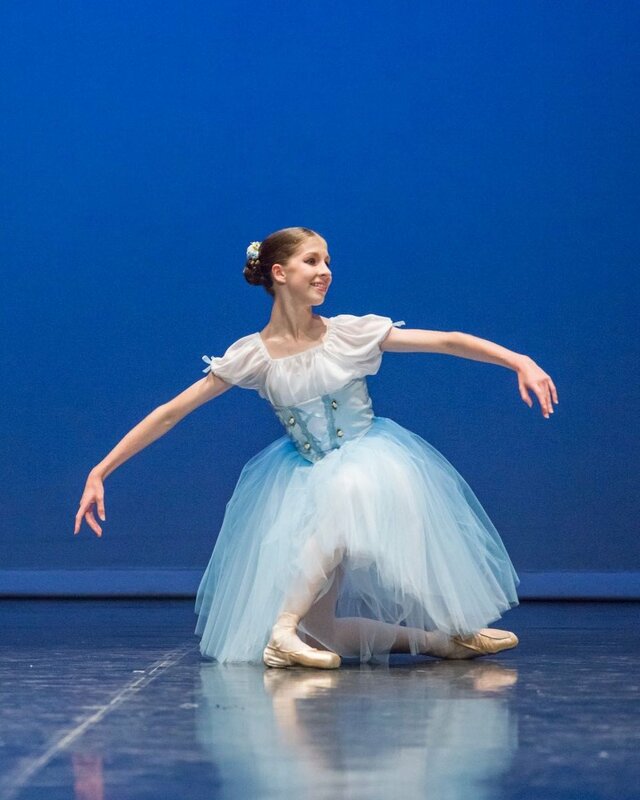 amy performing her giselle variation at the alana haines awards, 2017. I don’t really have any secret talents, but I can do the worm! Thankfully I haven’t actually had any funny/embarrassing stage moments yet. My favourite books are Mao’s Last Dancer and Hope in a Ballet Shoe. I also enjoyed The Hunger Games series.